First of all, I have long profited from the writings of John MacArthur. Just today, I heavily borrowed from and was blessed by his sermon series on Matthew while I prepared my own sermon. I think his book Slave is one of the best books around on the Doctrines of Grace. I am certain that I must have a dozen or more of his books and have found much of value in his ministry. He is, perhaps, the greatest popularizer of historic Calvinism today. Sure he is dispensational, but he is also a champion of the doctrines of the Reformation. He is one of the great preacher and preacher-models around today. Second, I am not a Charismatic or a continuationist. (Cessationists beleive the gifts as described in 1 Corinthians and other places have ceased, while continuationists believe they continue.) I first encountered a Christian advocating charismatic gifts way back in 1976. I was stunned by the encounter, so I studied the topic as best I could as a Christian novice. I rejected the continuation of the gifts, but asked God to overrule me if I were wrong. Over the years, I read a few books on the topic and studied it at one time. I have generally agreed with the cessationist position; that is, the view that the charismatic gifts have ceased. I think I have always been open and willing to be proven otherwise. I have not had to combat charismatics in my church experiences, and in our Christian school, we have welcomed their involvement. Third, I think that the particular cases and individuals that MacArthur has crititiqued and criticized received just treatment. I would not know Benny Hinn if he showed up at my door, but I assume that what MacArthur carefully documented about him is true. I do recall Oral Roberts and am convinced that his theology was just as warped as MacArthur says it was. The scoundrels and charlatans, the moral failures and the presumptious claims, the phony promises and the excessive expectations that are chronicled in the book are, I assume, true. All that being said, I found Strange Fire: The Danger of Offending the Holy Spirit With Counterfeit Worship unconvincing. MacArthur paints with a broad brush. Yes, there are charismatics who are weird; some leaders and prominent figures have proven to be scoundrels, charlatans, and hypocrites; and, there are cases of leaders who have raked in lots of money promoting very man-centered messages void of Bible doctrine and content. By their fruits you shall know them. But we have to be careful when denouncing whole theologies or movements because of particular people who have disgraced the causes. Christianity as a whole, from the time of Judas to the present, has suffered from both wolves in sheep’s clothing and just really dumb sheep. I wish it were not the case, but every branch of Christian belief, every faction, subgroup, “ism,” and variety has cases of leaders who proved false to the faith. Charismatics have lots of loonies to explain, but then, so do the rest of us. Paul’s epistles are full of rebukes directed at both individuals and whole churches. Whereas Origen could have prayed more and found a church with some single girls, picked one out, and married her, he opted for castration. (That is one stupid practice that rarely reoccurs.) American Puritans created some powerful foundations for our culture, but Michael Wiggleworth’s writing of the poem “Day of Doom” was not the high point of Puritan theological or poetic achievement. James Davenport, a preacher during the Great Awakening, was also quite unbalanced. Even the best of Christians suffer faults and failures, and most of us are not “the best of Christians.” So, moral failures and hypocrisy does not answer the question of Charismatic gifts. There are heresies, distortions, and outright denials of key doctrines within the pale of Christianity. There are pulpits, seminaries, books, and movements that deny basic Biblical doctrines. Machen’s Christianity and Liberalism is just as relevant today as when it was written. There are societal issues where Christians have bought agendas that are far from Biblical. An approving nod or a sympathetic wink can be found for almost any perversity, immorality, or heresy from someone or some group that professes Christ. In contrast, many, if not most, charismatics are conservative, Bible-believing, pro-life, mission oriented believers. Most are premillennial, but they work on Kingdom-projects as though they were post-millennial. Many Reformed Christians have found fellowship with charismatics and co-workers in many areas. And many Reformed Christians have been put to shame by the prayers, witnessing, and zeal of charismatic brethren. The best part of MacArthur’s book is Part 3 Rediscovering the Spirit’s Work. The first three chapters in this part deal with the Holy Spirit and salvation, sanctification, and the Scriptures. This is vintage MacArthur: Sound doctrines explained, applied, and buttressed with lots of Bible verses. I think the book as a whole would have been better if the focus, if the bulk of the book, had been expositions on the work of the Holy Spirit. MacArthur could have addressed his concerns toward charismatics and continuationists after setting forth sound, agreed-upon truths. The very last chapter of the book is “An Open Letter to My Continuationist Friends.” This perhaps should have been the opening chapter of the book. It is warm and embracing. Again, it is MacArthur at his best. The questions and issues he raises are good ones, and I would like to hear how a continuationist would answer. But I was a bit shaken by the chapter. I knew that Wayne Grudem held to a continuation of gifts, but I did not know that others, such as John Piper and D. A. Carson were continuationists. Rather than sealing the case for a non-charismatic like me, this all left me wondering whether I have misunderstood something or am missing some blessings. I conclude with giving thanks to God for both John MacArthur and for the many Jesus-loving, Spirit-filled charismatics. This book was provided to me free of charge for reviewing purposes. I was not required to write favorably about it, and did not do so. But I still endorse both the author and the publisher. I am thoroughly enjoying having today (Presidents’ Day) off. A day without the rush of work gives enough time to truly enjoy the reading and coffee. I was able to advance the bookmarks in a couple of books that will be finished over the next week and another that will take a while And then there are the new books. I usually begin a new book by examining all the recommendations on the back, inside the dust jacket, and in the opening pages of the book. Forwards, introductions, and acknowledgments are then read. I glance over the table of contents and then rush over to the bibliography. You can often judge a book by the books consulted by the author. In the kind providence of God, we were blessed yesterday by having Pastor Mickey Schneider preach at our church. Afterwards, he and his wife, Judy, came to our house for lunch and fellowship. Pastor Schneider is a walking history of late 20th century Southern Presbyterianism. He watched Martin Luther King’s “I Have a Dream Speech” with Cornelius Van Til, got lost in Jackson, MS with R. J. Rushdoony, and served as pastor to Greg Bahnsen. Pastor Schneider attended Columbia Theological Seminary in the mid-1960s. That was a transition time in Southern Presbyterian history, as well as a turbulent time in American political history. Columbia was rooted in Scottish Calvinism. Some of the great names of that seminary included James Henley Thornwell, John Girardeau, and Benjamin Morgan Palmer. By the 1960s, theological liberals were holding sway over the seminary, but the truth had not died out. (The truth never dies.) One of the stalwarts of the faith who, almost single-handedly at times, held to the historic Reformed faith, the Westminster Standards, and the Scriptures was William Childs Robinson. Dr. Robinson’s last year at the seminary was Pastor Schneider’s first year. Today, I began reading Pleading for Reformation Vision: The Life and Selected Writings of William Childs Robinson by David Calhoun. Last year, I read and thoroughly enjoyed Calhoun’s book Our Southen Zion: Old Columbia Seminary. Read the review here. This follow-up book, a Banner of Truth publication, covers the life of Dr. Robinson and includes a selection of essays he wrote on a number of theological topics. This is not a book that will appeal to a wide audience, but it is a valuable contribution to the history of Presbyterianism in America and Reformed theology in the 20th century. David Calhoun is THE historian of American Presbyterian seminaries. A few weeks ago, I posted a blog on books on Christianity and Capitalism. From that blog, I learned about several other books on the topic that I do not have. Well, now I have them and wonder how I ever survived without them. The first is Foundations of Economics: A Christian View by Shawn Ritenour. Dr. Ritenour is a professor of economics at Grove City College and is an elder in a Presbyterian church. His book is a weighty, detailed study of economics. He builds upon the economic work of Ludwig von Mises and others in the Austrian school. He is not the first Christian to borrow, glean, and redemptively cultivate ideas from the Austrian perspective. (If the term “Austrian school” is meaningless, don’t worry about it.) So far, I have only scanned the book, surveyed the incredibly good bibliography, and started in on the first chapter. This book is a blessing. God continues to raise up worthy scholars in all disciplines. I look forward to working through this book. This book is published by Wipf and Stock, and here is a good place to purchase it. 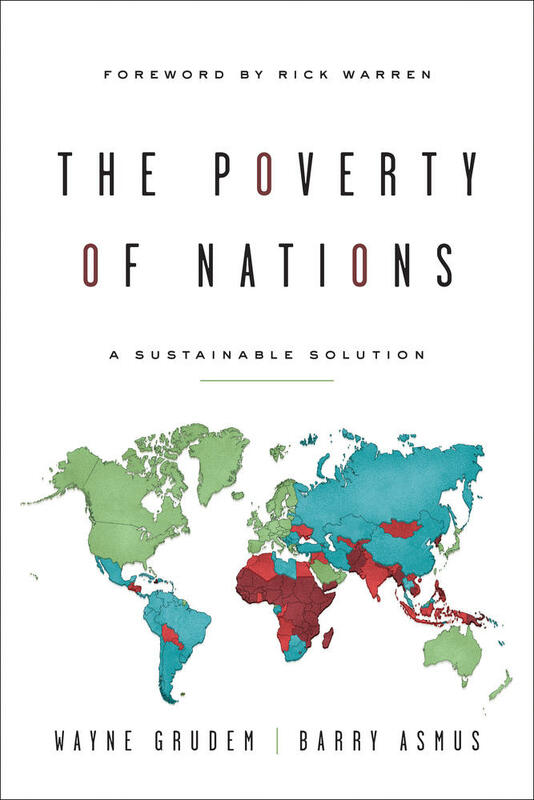 Most recently, Crossway Books published The Poverty of Nations: A Sustainable Solution by theologian Wayne Grudem and economist Barry Asmus. I knew this would be a great book for 3 reasons. First, Wayne Grudem, a gifted Christian systematic theologian, is one of the authors. Second, my friends Andrew Sandlin and David Bahnsen both spoke favorably of the book. Third, I read a column by two college students who sat in a session with Dr. Grudem and they eloquently whined about captialism exploiting the poor and overusing resources and promoting colonialism and slavery. These two guys did have a great alternative to capitalism: Complaining about capitalism. That aside, this book looks outstanding. Now, with a book on a theologian to read and two books on economics, I only need to figure out how to pay the rest of this month’s bills on a teacher/preacher salary. And miles to go before I sleep…. A poem coming into being. 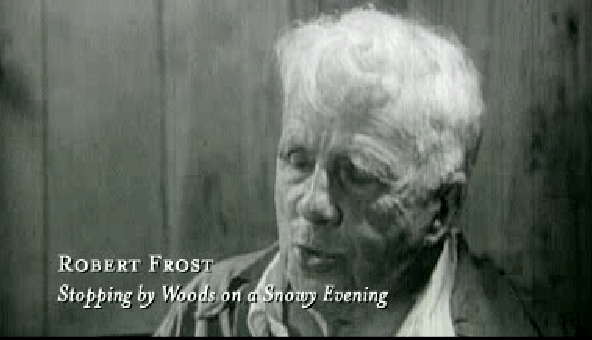 Robert Frost reciting his own poem: Here. 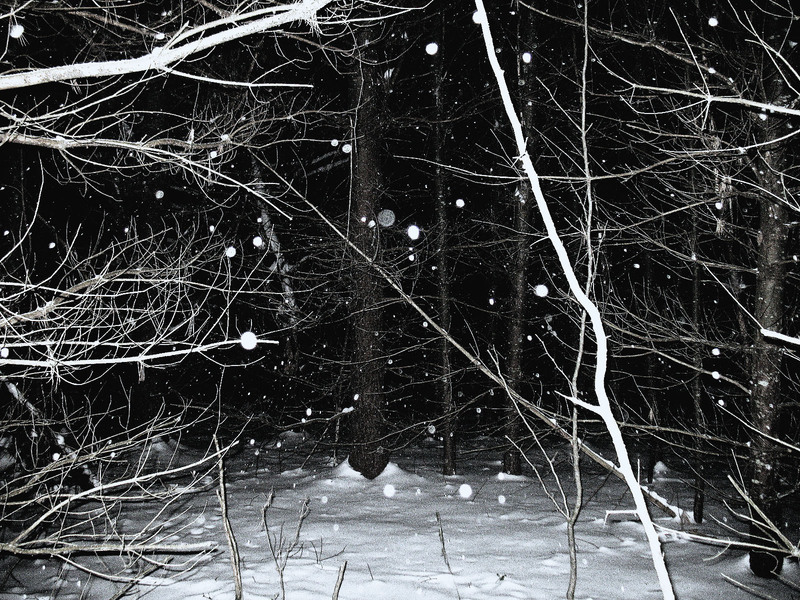 Snowetry: Poetry about snow. Most often read and meditated on by people in southern parts of the United States that gaze longingly at leaden skies and wonder why they have freezing cold weather, cold rain, but no very little snow. This poem by John Crowe Ransom uses winter as an outward metaphor to reflect the inner turmoil. This is a poem of hardship, rejection, and hurt in a love relationship. (Just the right message leading up to Valentine’s Day, right?) It creates the image of a warm cabin with a blazing fire and two people in love. But something happened and now the speaker is alone and in agony. The harsh force of the winter weather is actually pain numbing to him in this time of agony. Poetry captures emotional moments. You may be happily in love (and I am), enjoying the warm fire inside (and I would), and finding a walk outside brisk and refreshing (and I possibly would). Yet, the range of human experience tells you that this poem too describes a part of what we go through in the emotional seasons of life. Ransom was a southerner, a literary critic, a teacher, and a poet. He called himself a “major minor poet.” He was largely responsible for the outbreak of literary genius that erupted at Vanderbilt University in the 1920s that was known as the Fugitive Poetry movement. He and his key students, including Donald Davidson, Alan Tate, and Robert Penn Warren, became the leaders in the movement. Ransom’s literary criticism contributed to the New Critics movement. His literary, social, and political thought contributed to the Agrarian movement> His influence on American literature in general, and Southern literature, is inestimable. In his latter days of fame and esteem, Ransom is seated third from the left, along with some of the men he mentored. Emily Dickinson would have been sent to counseling in our day and time. A psychiatrist would have been assigned to her case. Perhaps even medication would have been prescribed. her behavior was abnormal, her social reactions bizarre, her interactions with other people unacceptable. Thankfully, she lived when she did and not now. Her life story is not a happy one. The saddest aspect is in regard to her personal rejection of Christianity. She was withdrawn, aloof, fearful of human contact, and alienated from others. She lived in tumultuous times, but never left comments upon the events that shook the nation (meaning that late War Between the States). Miss Dickinson appeared fragile and delicate. The best known photograph of her portrays an homey kind of attractiveness and inquisitiveness. She appears to be a simple young lady, but don’t be fooled. She had the constitution of a boxer, or a warrior. Her weapon was a pen and her tactic was an economy of words. Her poems strike quickly and powerfully. The forms appear loose and dangling, but the content is usually quite tight and sharp. “Snowflakes” is a good example of her work. Her poems didn’t actually have titles, and most collections list them by numbers. Beware of any editions of Ms. Dickinson’s work that has been edited by a punctuation conscious editor. Her own dashes and rhythms betray genius, not lack of attention. She writes with touches of humor and with depths of sorrow. Long before the Imagist school of poetry, she was creating unforgettable images. Almost not even noticed in her own day, she commands a center of attention in American poetry today. A student of mine from years ago, Steve Pettit, took this picture this past week on Mount Magazine. The picture itself is a work of poetry. Or perhaps we can say it captures God’s poetry. This poet, who was Spanish and lived from 1864 to 1936, and this poem are both new to me. Also, when a work of poetry is in translation, the result is, as Alan Tate noted, two literary works. I cannot read Spanish, so I have to enjoy this delightful English translation. 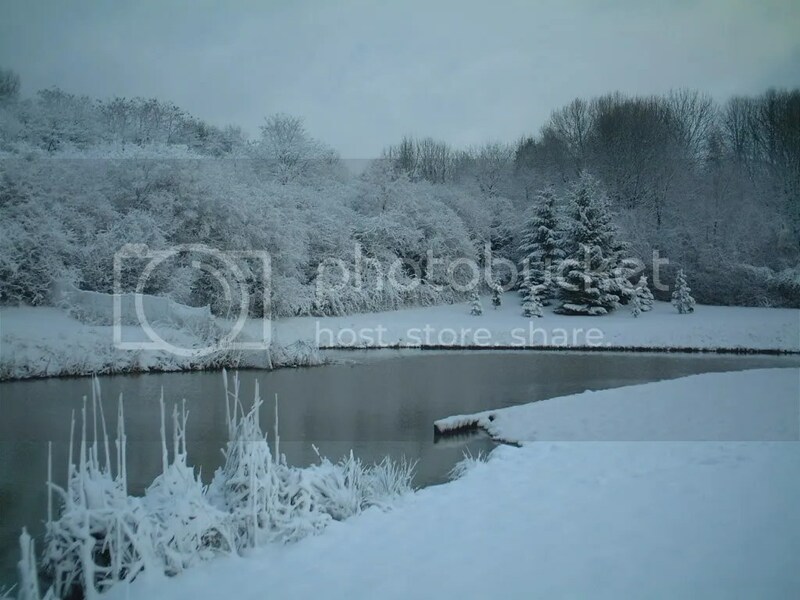 Snowetry: Poetry about snow. Most often read and meditated on by people in southern parts of the United States that gaze longingly at leaden skies and wonder why they have freezing cold weather, cold rain, but no snow. Addendum: We DID have a snowfall yesterday, and today the world outside is quite beautiful. 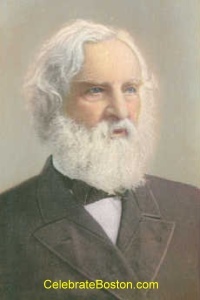 Henry Wadsworth Longfellow was, in the heyday of 19th and early 20th century schooling, the Schoolroom Poet. Sometimes, he is referred to as the “Fireside Poet.” Students read “The Village Blacksmith,” “Hiawatha,” “Evangeline,” “Song of Life,” and “The Midnight Ride of Paul Revere.” My favorite has always been “My Lost Youth.” Longfellow was a gifted and trained scholar. He produced a translation of Dante’s Divine Comedy along with his many other original compositions. Bearded and august in appearance, he set the standard for what poetry should be. He ruled the world of poetry until he was displaced by Walt Whitman. I rarely find students from my public school or Christian school experiences who are familiar with Longfellow. Outside of the joke (“You’re a poet and don’t know it, but your feet show it–they’re long fellows), I have rarely heard him referenced. His work is criticized for its sentimentality and disdained because of his commitment to metrical forms. He was classically trained, incredibly successful, and an upholder of the idea of public virtue. His poetry is not filled with narcissism or skepticism or railings against God, society, and morality. Longfellow affirmed the basic morals of his day. His faith seemed more a generic belief in God than orthodox Christianity. If you don’t have a collection of his poetry, or an anthology with a generous selection of his poems, take immediate action and acquire some of Longfellow’s works. And read them. He celebrated the American experience. He stared, and did not merely glance over, the world around him. Our history, the world of New England, the shapes and feel of nature, and human emotions all found expression in his poetry. 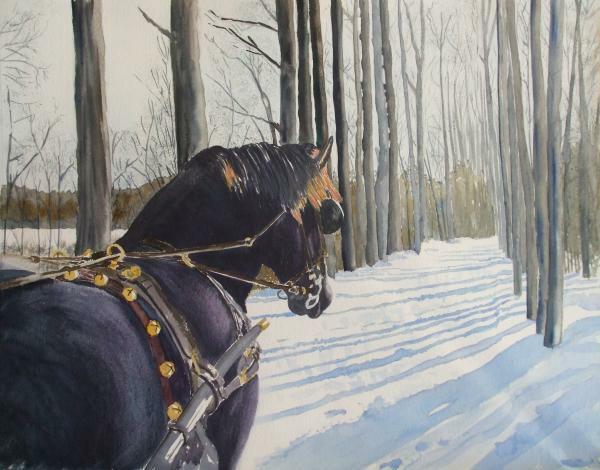 “Snowflakes,” an appealing topic for any with poetic desires, is a fine example of his skill. Hopefully, you can read it while gazing out the window at snow from last night or snow still falling. Read it a few times and notice the images and layers within it. Like snowflakes, it is light, cool, and revealing.